Announcements from the Society office and Board of Directors. The Call for Proposals for the 65th Annual Conference: Technical Communication Summit 2018 is open. Proposals are due at 11:59 PM EDT (GMT-4) 27 September 2017. All proposals must be submitted through STC's online submission system. STC's 65th Annual Conference: Technical Communication Summit 2018 will be held 20-23 May 2018 in Orlando, Florida. STC membership is based on a calendar year. All memberships expire on 31 December. Individuals joining STC for the first time (or former members whose membership has lapsed more than one year) pay Society dues, a $15.00 enrollment fee, and chapter and SIG fees (if applicable). Because the full range of STC products and services is available to members immediately upon joining or renewing, STC dues are nonrefundable. Join or Renew your STC membership today to continue receiving exclusive benefits such as the member rate for the 2018 Summit in Orlando, Florida (STC's annual conference and exposition). We encourage you to add the Washington, DC – Baltimore Chapter as your home chapter or in addition to other chapters and SIGs you may join. Why should you join STC and the Washington, DC – Baltimore Chapter? The Washington, DC – Baltimore Chapter offers many opportunities to network with others in your field such as First Friday Lunches, InfoDecDC Meetups, Happy Hours, and other chapter events. You can explore your interests and expand your education and skills by attending webinars, TC Summer Camp, and participating in chapter committees and our technical communication competition. See Why Should You Join the WDCB Chapter? for more reasons to join the chapter. Membership dues: STC's 2018 membership season is now open! Chart of membership levels and dues at STC Membership Levels and Benefits. Adjusted dues for retired members: Retired membership Note: Retired membership renewals must be completed by paper form, or by contacting the STC office at 703-522-4114. Online renewals for retired members is not available. To qualify for retired membership, you must be 65 years of age or older, working 20 hours or less in the field, and be a consecutive member of STC for 10 years or more. Corporate Value Program (CVP) membership: The CVP enables organizations to purchase a package of individual memberships for an entire team, at a discounted rate. STC has added a new benefit for members! Welcome Office Depot to the STC Member Perks program! STC is pleased to announce a new member benefit through Office Depot! STC members save 10% off the Web price on more than 30,000 office supplies through the Office Depot Partner Program. Through the STC Member Perks program, you can take advantage of a variety of services and products at special member discounts. Participation in these programs provides a true return on your investment in membership. Take advantage of special member discounts with companies such as: Hertz, Lenovo, MadCap Software, UPS, Mass Market Insurance Consultants, and more! To view all the STC Member Perks, see STC Member Perks. Reserve your rooms at the official Summit hotel, the Anaheim Marriott, by 15 April and you’ll be entered to win an upgrade to an executive suite,* a $750+ value, for the duration of your conference stay! Book your stay for the 2016 Summit, 15-18 May, at the official conference hotel, the Anaheim Marriott. The Anaheim Marriott combines luxury accommodations with world-class meeting space, making it the ideal location for the 2016 Summit. Why stay at the Anaheim Marriott? Take advantage of networking opportunities with other attendees at one of the Marriott’s bars or restaurants, including its signature poolside lounge. Work, stay, and play in a completely renovated hotel, including spacious guest rooms and comfortable common areas. Why not come in early or extend your stay and take advantage of the variety of activities to do in and around Anaheim, including nearby Disneyland Resort! 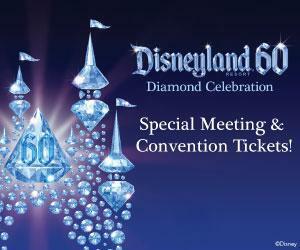 STC is excited to extend a special price on Disneyland® Resort Theme Park tickets to all registered Summit attendees. Tickets are valid from Wednesday, 11 May, 2016 to Sunday, 22 May, 2016 and must be purchased by 9:00 PM PST (GMT-8) on Saturday 14 May 2016. Don’t delay! Prices are subject to change without notice. Summit attendees may purchase up to 6 tickets at a time, so bring the whole family along for some fun! Register today! See you in Anaheim! The Multi-Chapter Techcomm Showcase was brought to you by the Rochester, New England, and Southeastern Michigan Chapters of the Society for Technical Communication. As a learning content developer for a technical writing team at Autodesk, Patty Gale is involved in many aspects of the design, development, and production of learning content for 3D modeling software. A technical communicator for over 25 years, Patty has worked at businesses all sizes, from small start-ups to large corporations. Whether the sole writer or part of a larger team, Patty enjoys learning new technologies and determining the most effective way to share important information with users. She has received multiple awards from her employers and STC competitions, including an International Award of Distinguished Technical Communication. Patty holds Bachelor’s degrees in Computer Science and Business Management. Angel Belford is a communications professional with over 10 years of experience in writing, editing and content management. Currently, Angel is the Web Content Administrator at Lourdes University managing all online content and the company Intranet. Prior to her current position she worked at FOX Toledo, a local news media organization, overseeing the Internet department, social media and the internal content management system. Angel was a technical writer at La-Z-Boy, holding this position for several years while creating documentation including user and administrator manuals, quick reference cards, and online manuals. ➜ 2015 Summit Playback is Now Available for All Full Registrants! The 2015 STC Technical Communication Summit in Columbus, Ohio, provided attendees with valuable learning and networking opportunities. But you may not have been able to attend all the sessions you were interested in. As an added value to your Summit registration, STC is pleased to provide all full Summit registrants with complimentary access to recordings from the 2015 Summit through Summit Playback. Catch up on sessions you didn't have time to attend, review important information about new technologies and trends, and continue your professional development between STC events. To take advantage of this valuable attendee benefit, visit the Summit Playback website and log in with your account details STC sent you in a recent email. The 2015 recordings will only be available until 31 March 2016, so make sure to log on and watch before then: https://stc.org/education/technical-communications-summit/summit-playback.